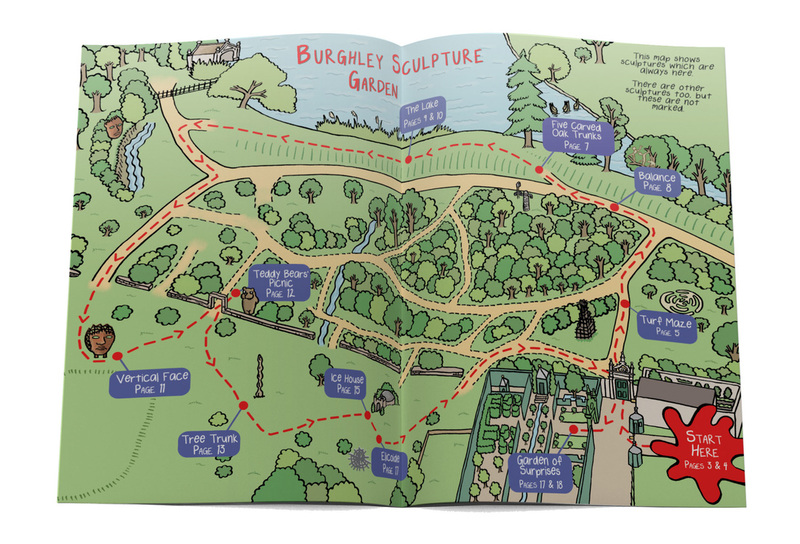 Children's illustrator and guidebook designer Emma Metcalfe was commissioned to devise and illustrate a second illustrated children's guidebook for Burghley, a magnificent Elizabethan House with a sculpture garden. 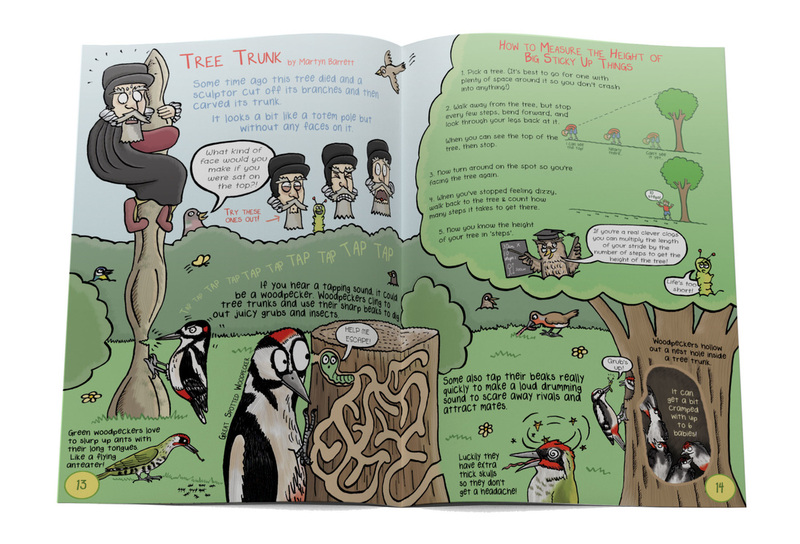 Following on from the success of Beastly Boring Burghley (Emma's children's guidebook telling the story of the history and inhabitants of Burghley House), Emma was commissioned to create a new children's illustrated guidebook for Burghley's sculpture garden. 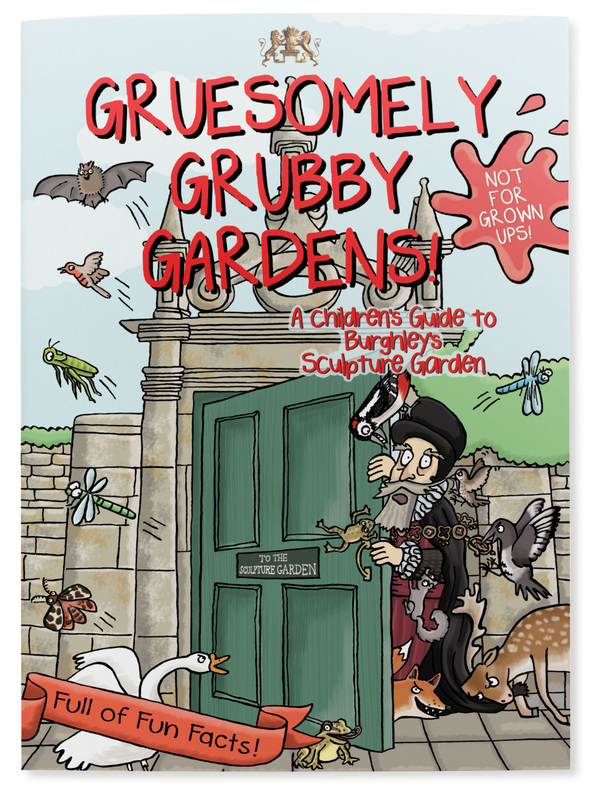 Gruesomely Grubby Gardens focuses on the garden's permanent sculpture collection, which is supplemented throughout the year by additional exhibition pieces. 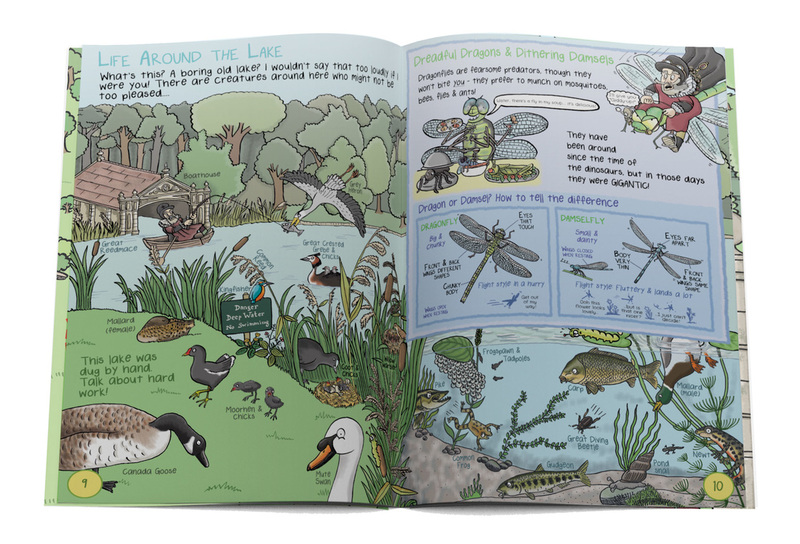 ​The sculpture garden, with its own lake and woodlands, is home to a whole host of animals, birds and insects. 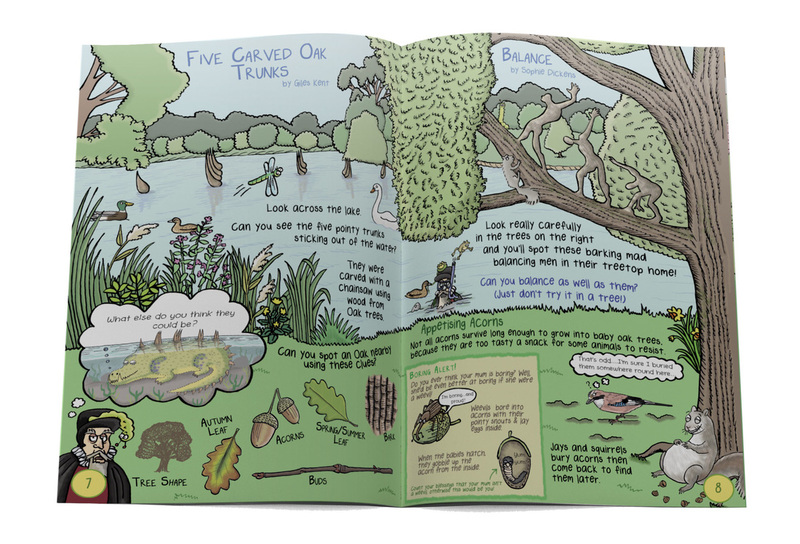 Emma was keen to make links between the themes of the sculptures and their natural environment. 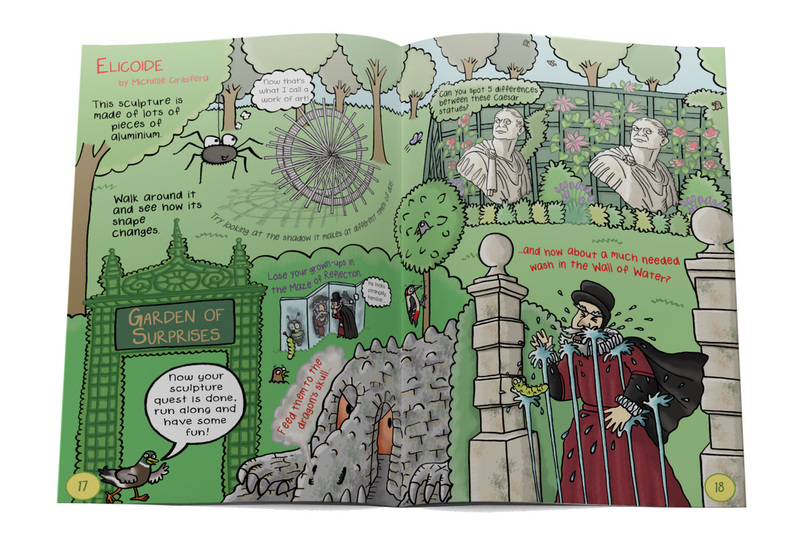 The slightly-sinister William Cecil(trusted adviser to Queen Elizabeth I who built Burghley) also makes a reappearance. 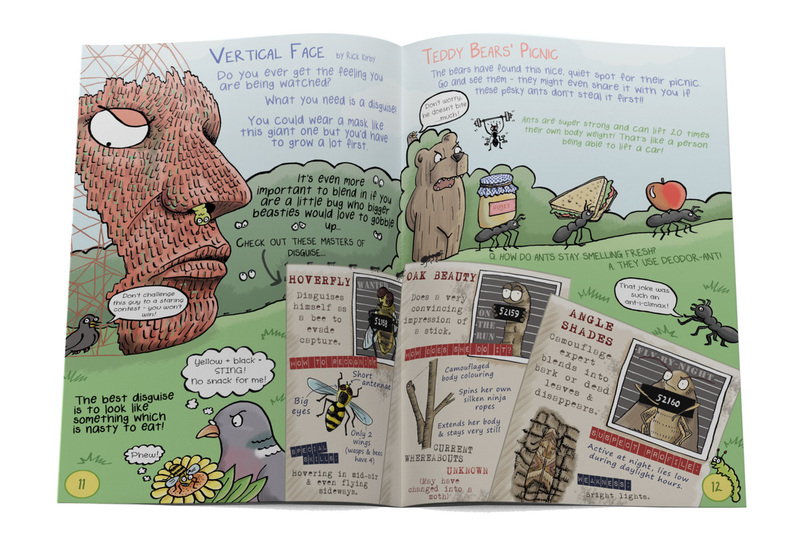 ​Gruesomely Grubby Gardens is fully illustrated, and packed with jokes, puzzles and activities. 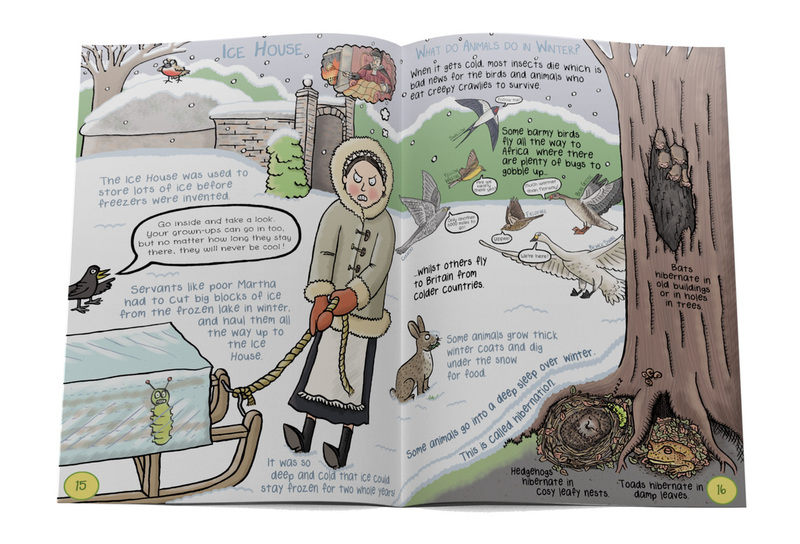 Its colourful 'cartoon' style makes it appealing to children and full of engaging little details to spot. 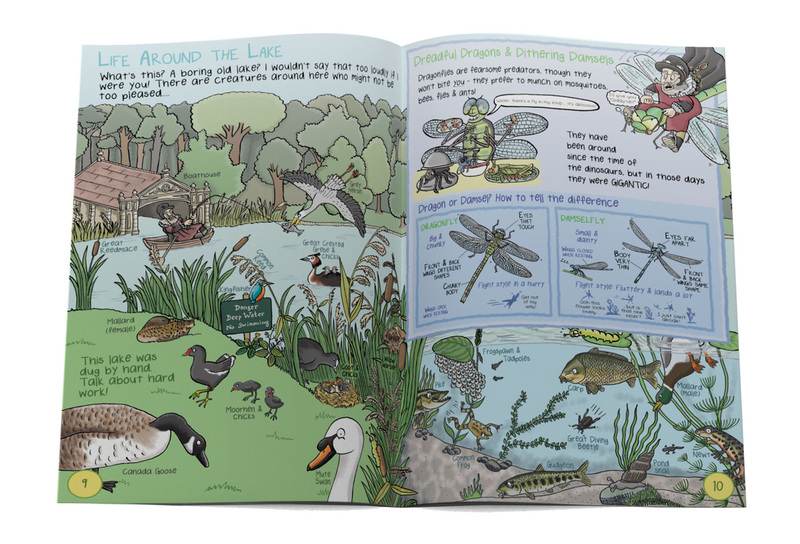 Most importantly it is full of fascinating wildlife facts and illustrations. 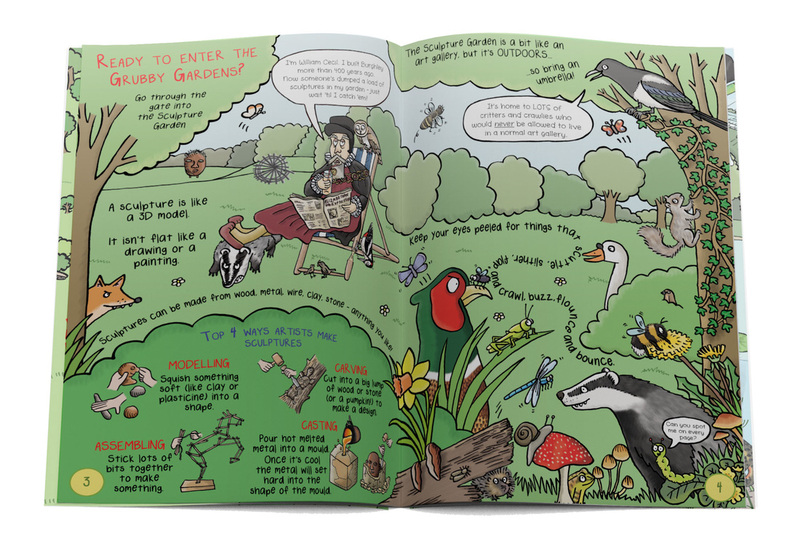 ​Gruesomely Grubby Gardens is a fully illustrated 20 page children's guidebook and approximately A5 in size. 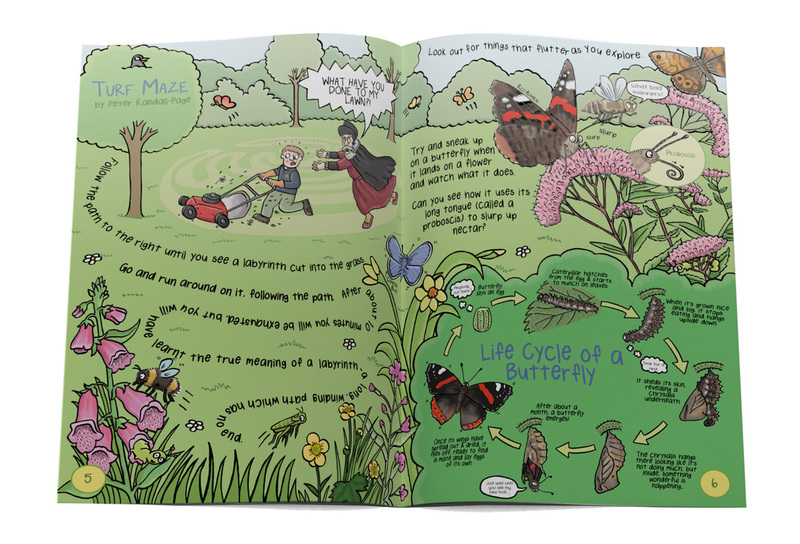 All artwork was drawn by hand, with digital colour added.